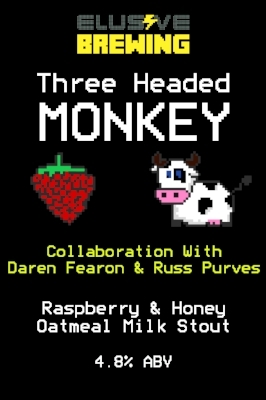 Raspberry & Honey Oatmeal Milk Stout. Collaboration with Daren Fearon & Russ Purves. The base stout has a slight toasty note from the specialty grains used with a smooth creaminess from the addition of oats and lactose. Raspberries were introduced post-fermentation before the beer was primed with honey. A stout full of summer flavours.